Join us at the beautiful and historic Fremont Indian State Park on Utah’s Fishlake National Forest this summer! The Belknap Ranger Station was built in 1910, and was a prominent Forest Service facility until its demolition in 1979. However, historic roads, an ice house cave, and foundations still remain. This year at Belknap Station, we will be pouring concrete footings for three of the buildings, which will be partially rebuilt next year, using 2"x2"-angle iron. 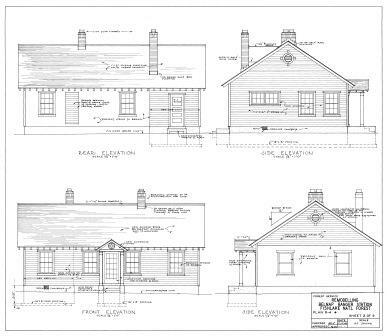 The partial reconstructions will be used as interpretive features for Belknap Ranger Station. Something very similar was done 2,000 miles away at the Wolsteinheim Townsite, Virginia, to great interpretive effect. The site was located near Jamestown, and excavated by The Williamsburg Foundation. It had been attacked and overrun by the Powhatan Indians in 1622, but even a “mapping” of the site for the public through partial reconstruction has served to tell a great story, and leave lasting impressions. We hope you’ll join us in this beautiful setting for what promises to be some good, old-fashioned sweaty fun, and that you’ll stay for the history and archaeology that surrounds you – and help us tell Belknap Station’s story in a unique way. See you in August!